This week, Intel and Arduino are releasing their first product pushed directly on the education market, the Arduino/Genuino 101 board powered by the Intel Curie module. The Arduino/Genuino 101 is the first development platform for the Intel Curie modules which are a recent development from Intel’s Maker and Innovator group. The button-sized Curie is a single package encapsulating microcontroller, Bluetooth, a 6-DOF IMU, and battery charging circuitry; the requisite hardware for anything marketed as a ‘wearable’. The Curie’s brain is a 32-bit Intel Quark microcontroller with 384kB of Flash 80kB SRAM, giving it about the same storage and RAM as a low-end ARM Cortex microcontroller. Called a module, it needs a carrier board to interface with this hardware. This is where the Arduino/Genuino 101 comes in. This board – the third such collaboration between Intel and Arduino – provides the same form factor and pinout found in the most popular Arduino offering. While the Curie-based Arduino/Genuino 101 is not replacing the extraordinarily popular Arduino Uno and Leonardo, it is going after the same market – educators and makers – at a similar price, $30 USD or €27. For the same price as an Arduino Uno, the Arduino/Genuino 101 offers Bluetooth, an IMU, and strangely the same USB standard-B receptacle. Intel has further plans in store for the Curie module; In 2016, Intel, [Mark Burnett] of reality television fame, and United Artists Media group will produce America’s Greatest Makers, a reality show featuring makers developing wearable electronics on TV. No, it’s not Junkyard Wars, but until the MacGyver reboot airs, it’s the closest we’re going to get to people building stuff on TV. In 2013, Intel and Arduino introduced the Galileo board, a dev board packed with I/Os, Ethernet, PCIe, and an Intel instruction set. This was a massive move away from all ARM, AVR, or PIC dev boards made in recent years, and marked Intel’s first foray into the world of education, making, and an Internet of Things. In 2014, Intel and Arduino released the Edison, a tiny, tiny board designed for the embedded market and entrepreneurs. The Arduino 101 and Genuino 101 – different names for the same thing and the first great expression of arduino.cc’s troubles with trademarks and the Arduino vs Arduino war – are targeted specifically at the ‘maker’ market, however ephemeral and hard to define that is. The form of the Arduino 101 follows directly in the footsteps of the Arduino Uno and Leonardo; The 101 has the same footprint, the same pinout, a single USB port as the Leonardo. Being the ‘maker market Arduino’, this board is designed to bring technology to the classroom. In a conference earlier this week, [Massimo] framed the Arduino 101 as the educational intersection between technology, coding, art, and design. Students who would not otherwise learn microcontroller development will learn to program an Arduino for art and design projects. The Arduino/Genuino 101 is the board that puts the STEAM in STEM education. Intel has big plans for the Curie module, with a few products in the works already. The Intel Edison has made its way into consumer electronics and wearables, including an electronic ski coach that will tell you when to pizza and when to french fry. The Curie will be available independently of the Arduino/Genuino 101, with both products being released in early 2016. Supplied in a lead lined box? Maybe we need a Tesla version capable of high voltage, high frequency switchin, or maybe a lovelace version, onboard debugging, with an option to step through and display bytes of code displayed on leds, intended for educational purposes. Man, don’t talk about that IDE!. It does its job, and that’s what matters. He’s exactly right… If they had an ide with simple debugging and code completion with would be way better than the buggy crap we have to deal with now. Also, When it does it’s job it does it poorly. Atmel’s visual studio based IDE already support source level debugging if you have their debugger. Why not make use of that? I think it would be great for say collage level, switches for data and address with nice leds to physically edit and step through the code but also the ability to look at it over USB and run it full speed. It works, and it works on just about anything. You don’t need Windows, you don’t have to use something different on Mac or Linux. It’s mind numbingly simple compared to most IDEs for similar boards. That’s a great point in using it for education. With the setup and init functions, you can explain it very simply to anyone very quickly. The documentation is good for new people. Sure, there might be some better IDEs for more advanced developers, but for getting people started without being super frustrating for them. That’s why it’s great for education, because people get started and want to do more. I have not seen another IDE that is as good as that. Sure it’s flawed in some ways. Auto-complete would be nice, but you can do without it. I’m using Arduino with Atmel Studio (or Visual Studio Community) and it is awesome! The auto-complete is great! Looks like BGA,but not sure. Will the module be available? Which is a bit of an odd thing to read on something that’s suppose to already go into products. Boilerplate for wireless components. No embedded antenna, so it can’t be certified until it’s integrated in a module. The onus is on the manufacturers/system integrators to get their products tested in a certified lab for regulatory tests such as EMC for their market. If you want to sell electronics witgets, then you get them certified. I’m really curious to see if Intel will publish a complete reference manual with register-level documentation. Anyone know? This is a tiny non-internet connected module and I not only doubt it has AMT but that if it does it would pose any issue, in this instance. It has BT though, true, but that’s very local networking and would not be accessible by any unsavory organization. And even if, what would they do with it? Spy on the 24kB code? I don’t think Galileo had such a coprocessor (ME), and I doubt something like this will. Edison has its Quark though, which runs some sort of black box RTOS that handles initialization (similar to RPi’s VC) and mediates the I/O. You can build threads to run on it, but there’s no source for the code. In fairness, all PCs for the last 10-15 years or so have had lots of potentially leaky black boxes. Forget ME, what about laptop ECs? Or microcode? Or WiFi firmware? Or BIOS? Have you vetted your BIOS’s SMI handlers? I don’t usually wear tinfoil hats, but the Secure Hardware Environment scenario from Rainbow’s End wasn’t far off the mark when the book was written. From everything posted on the Intel support forums, no. They’re also slow to release updates for their SDK and have not pushed changes upstream on their kernel patches. From the posts by their engineers it sounds like they’re painfully aware of how they’re doing the community a disservice but hamstrung by company policy. Er. to be clear I was referencing Edison’s support. I don’t know much about Galileo. Having worked extensively with the Intel Edison over the last six months all I can say is I am incredibly frustrated with the level of support Intel has given for the Edison. There is a decent sized community trying to work with this thing, but there is so little support and documentation that the potential of this great piece of hardware is being wasted. On top of that, they took almost a year to release an image that allowed use of the Quark, and the functionality is so limited that it doesn’t serve it’s intended purpose. It’s a real shame. I had high hopes for this very powerful hardware, but I will never devote so much time to an Intel module again. That’s my story exactly. I invested a lot of time into using Edison in a project only to give up from the months of missed delivery dates for documentation and Quark support. Edison is impressive hardware for a good price, but I’m not going to waste my time developing for a total dead end platform. I’ve been burned by Intel and what they pass off as ‘support’ too many times in the past and it seems like every time I decide to give them another chance all I get from it is a black-eye. For instance- I chose AMD\ATI over Intel\nVidia years ago but needing something more portable I got an ASUS aspireONE. Great little netbook except for the video and wifi, both of which are problems that could be fixed with a simple driver update, both of which are Intel components and both of which are completely ignored by Intel. Over a decade of working with PC hardware and nothing has frustrated me more than the hassle that comes with anything bearing an Intel badge on it’s case. Yeah. Intel netbooks used licensed PowerVR GPUs and the drivers were really bad. So that’s what is left after running the required stuff? That seems incredibly low for modern standards, but maybe it’s enough. Shrug. Nordic has a new ARM BLE chip that beats those specs by a lot and sips power, as long as you don’t need WiFi. And if you do, there’s always ESP8266. And there’s much better documentation on both. Hell if I know. I’m getting two sets of numbers from Arduino and Intel. That’s (196/24K) is much more than the usual 8-bit AVR, but about the same as the average ARM Cortex chips without external memory. The amount of SRAM (80K) in OP is above average and certainly not low ended ARM. There are the usual Pi SBC, mini-ITX that offer a lot more memory for not much more $$$ than an official Arduino sells for. I’d rather buy another OrangePi PC, and program it in bare metal code. It’s similar to other arduinos, but it’s 2015 (almost 2016) now and I’m not sure it’s not a bit too limited. And with an IMU and BT on-board you get quite a different set of uses than a MCU that basically only has I/O ports, and thus you might need more space for the code. But as I said, maybe I’m estimating wrong and it’s fine after all. Those Quark are based on Pentium 4 Core. There is enough flash and RAM on the Genuino 101 to install MS-DOS. Something to ponder. Unless they’ve changed it since the original Quark chips, they’re actually based on the original 486. Which means that they take a lot more instructions to do anything than a modern ARM processor. A lot more clocks to do anything, rather. “If you French fry when you need to pizza, you gonna have a bad time”? Nothing strange about it. In an educational environment, you need a connector that can withstand newbies doing dumb things like walking off with a board while it’s still plugged in. The standard-B connector is a beast and can’t be pulled off the board like I’ve seen many do with the Raspberry Pi micro-B power connector. I am sure that $6 clones will be available in China for the next decade. No point of selling that when STM32F103 boards are available from $3-$4. It has USB device, 64kB/20kB of FLASH/SRAM and Arduino port. Otherwise known as Big Expensive Teensy. Is anyone surprised? Oh, Intel is going to try this again? I’m not hopeful. Galileo was a disaster. It was pointless and unusable, and was somehow the slowest “fast” computer ever made. Edison was The Chosen One … but then they used totally inaccessible yocto linux with zero software support, and rushed to market with a chip with all promised video & camera functionality disabled. Who is running these programs at Intel? Jeez. Guanoino will be the same as previous fails. Unless someone has some kind of religious commitment to the x86 architecture, there is literally no point in pushing it back into the low-end (or any end) embedded space when ARM and MIPS devices do it all so much better. 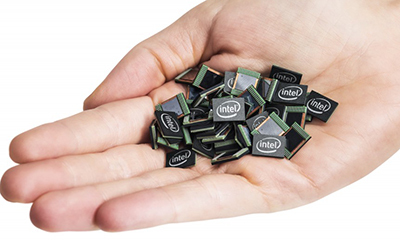 Intel mucked up in the mid noughties by dropping support for XScale, easily the fastest ARM processor around. So, they could have had a large share of the low-end embedded market now, but they shut it out for ideological reasons and now that’s their problem. Code compatibility with x86 in the embedded market, just doesn’t matter. Legacy code: unimportant or worse.